This guitar sounds more musical than any guitar I have ever played. Rings forever – the bass, the mids, the trebles. A true work of American craftsmanship and art. I’m going to be a better player because of this guitar. 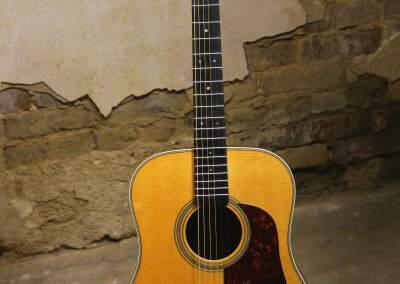 The Doc Watson Model is by far the most recognized Gallagher Guitar. 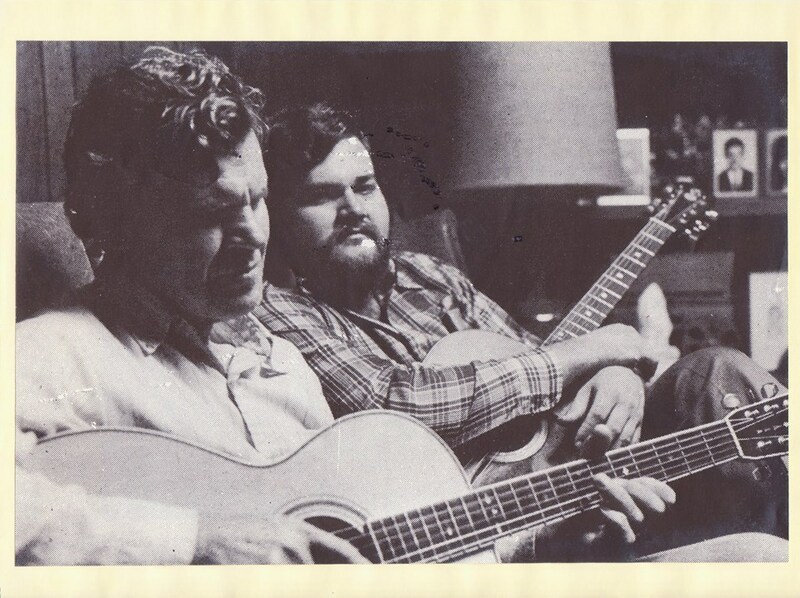 Since Doc and Merle helped J.W. 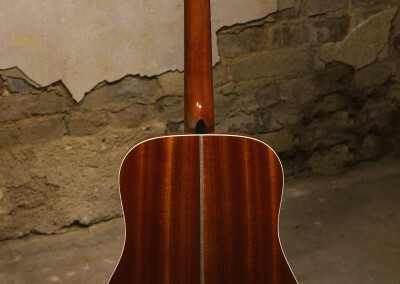 design this guitar, you can’t go wrong. 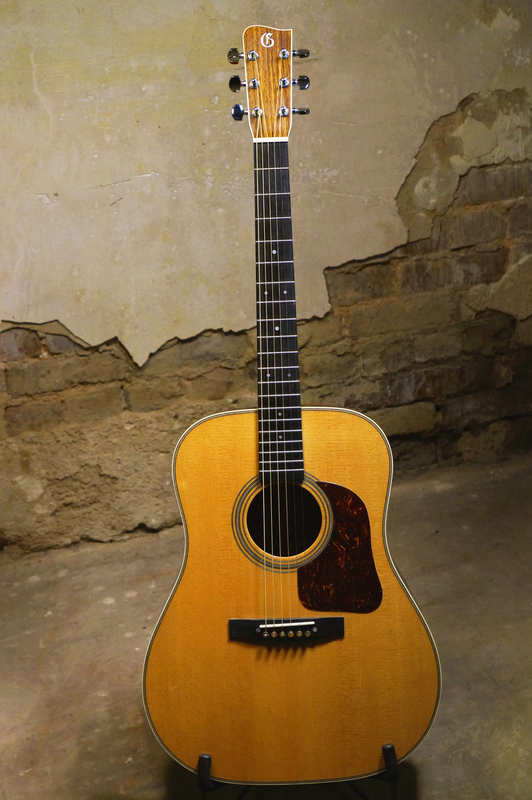 The first Doc Watson model was built in 1974 after Doc had been playing a G-50 for six years. J.W. 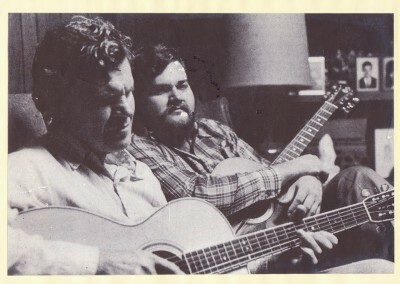 and Don met Doc and his son, Merle, at the Union Grove Fiddlers’ Convention in 1968. When J.W. 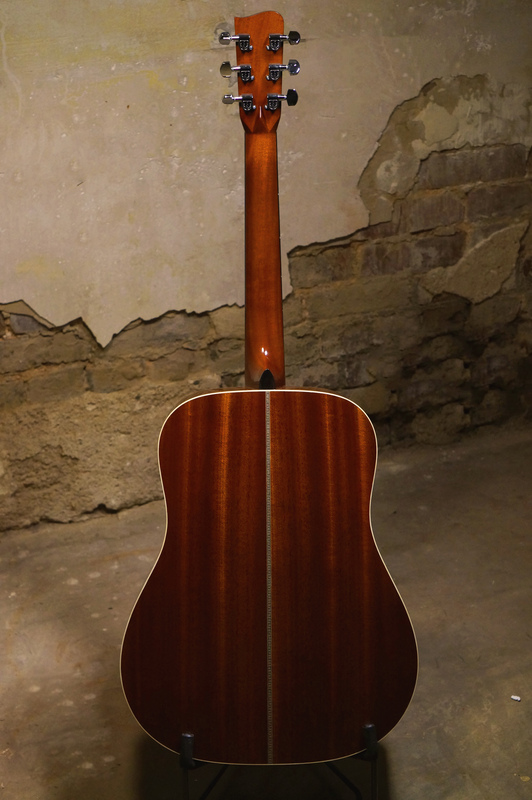 and Don were choosing guitars to take to the festival, they had only one mahogany guitar finished. But it had a problem. 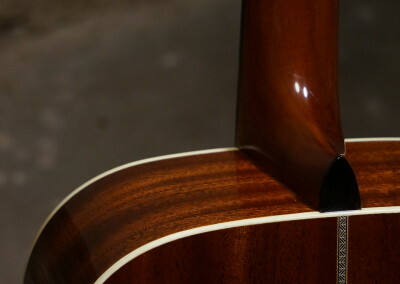 During the building process, the guitar had cracked along the side of its body. The crack had been repaired, but J.W. 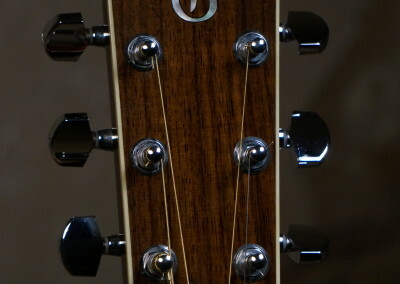 didn’t want to sell the guitar because of the blemish. But it was the only mahogany guitar they had, so they decided to take it for display only. J.W. went up to Doc and Merle as they were picking under shade tree. Doc invited J.W. and Don back to his house to check out the guitars. J.W. 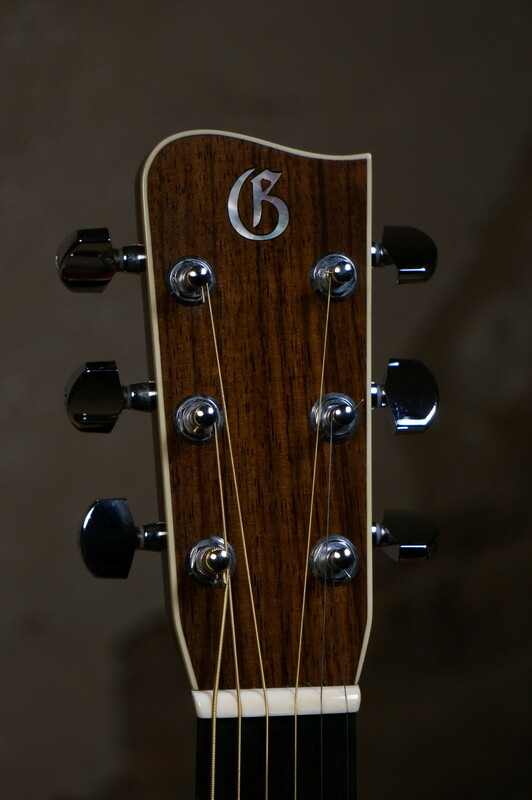 brought a G-70 (the top of the Gallagher line at the time) and the blemished G-50 for Doc to try out. Doc really liked the sound of the G-50, but J.W. didn’t want to sell it because of the crack. Doc told J.W. and Don that he didn’t care about the crack – it was the sound that he loved! J.W. made a deal with Doc that he could use that guitar for as long as he wanted, with no strings attached (“except the ones on the guitar”) as long as when Doc was finished playing it, he would send it back. J.W. didn’t want a blemished guitar out in the world. 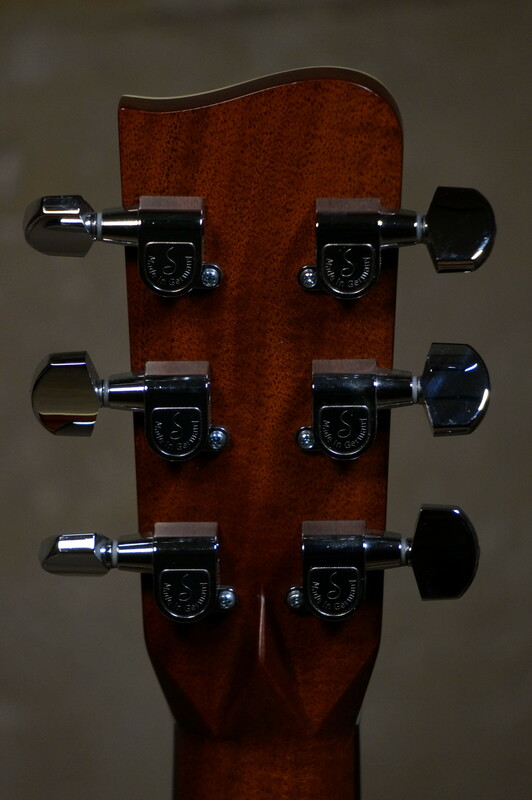 After playing the G-50 for six years, Doc decided he was ready for another guitar. Doc had learned how to play fiddle tunes on a Les Paul guitar, so Merle brought a Les Paul neck to the shop and asked if Gallagher could make a similarly sized neck for Doc’s new guitar. 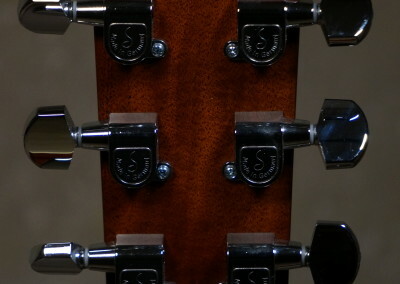 Thus, the Doc Watson models all have a 1 3/4” neck with jumbo frets. 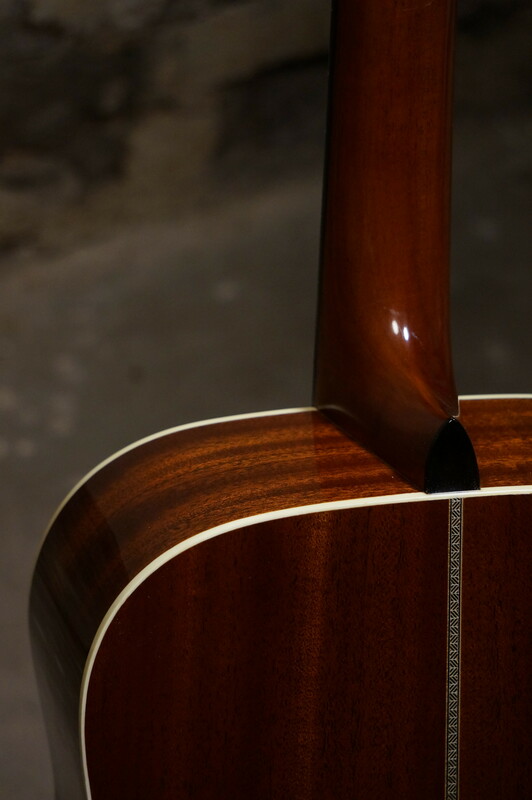 All Doc Watson models have mahogany back and sides, Sitka spruce tops with voiced bracing, and herringbone purfling and rosettes.